Lash Harrison has more than 50 years of experience representing management in all aspects of employment and labor law. During those 50 years he has represented employers in almost every state and in a variety of industries. Throughout his career, Lash has served in leadership roles in a number of professional and civic organizations. He was a member of the Emory University's Board of Visitors from 1999 to 2002 and a member of the Board's Executive Committee in 2001-2002. Currently, Lash is a member of the Emory University Law School Dean's Advisory Board. He also has served as a Trustee and Board Chair of Trinity School, Inc. in Atlanta. From the firm's inception in 1978 with 14 lawyers, until December of 2017, Lash served as its Managing Partner. 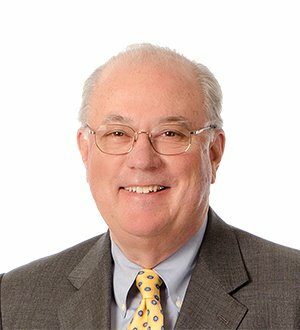 He oversaw the growth of the firm in recent years and FordHarrison is now one of the largest labor and employment law firms in the United States. Lash has received several ‘top attorney' honors, including being named to the Hall of Fame of Human Resources Executives' 100 Most Powerful Employment Attorneys list. Lash also serves as chairman of the Executive Committee.